She eats, she sleeps, she scratches. But today it's Mothball's birthday and it's time to celebrate! 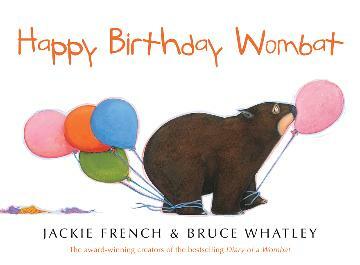 Created by author Jackie French and illustrator Bruce Whatley, Happy Birthday Wombat is a very funny picture book about enjoying a special day - as seen through the eyes of the world's most famous wombat.